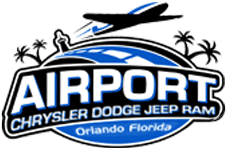 If you've been thinking about the 2019 Jeep Grand Cherokee in Orlando, Florida. From the handcrafted luxury meets heightened performance. The new Jeep Grand Cherokee comes with premium metal accents and tons of available 4x4 systems. The Grand Cherokee is the epitome of confidence with its available 20" wheels and signature headlamp lighting. The new SUV leads with power, thanks to its modern from grille and fascia. Drivers who love the Grand Cherokee for the powerhouse that it is can still enjoy notable features like the electric power-assist steering and steering wheel controls, but there's so much more to get excited about. If you're ready to step inside the intuitive interior of this new SUV, stop by and test drive the lineup with our team! Jeep's new 2019 Grand Cherokee has tons of jaw-dropping features, including dramatic body lines and an aggressive stance. The alloy wheel sizes vary from 17 to 20 inches, depending on upgrades. Drives can also choose the available Bi-XenonHigh-Intensity Discharge Headlamps and rear taillamps, which illuminate the roads with a quality that is unmatched by competing SUVs. All of these ultra-premium finishes complement the ruggedly capable off-road prowess of this model. If you want your vehicle to reach new levels of performance, it needs to look like it can. 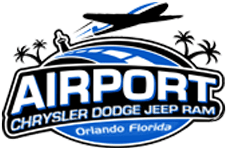 Check out our selection of SUVs in Orlando, Florida. The professionals at Airport CDJR are here to help you explore the innovative systems that are available inside this SUV. If you would like to experience the maximum towing 3,500 pounds, choose the new 2019 Grand Cherokee SUV with us.